KFPS/FHANA registered gelding out of Nanning 374 X Goffert 369. Espada is a 9 years old gelding who was named the Reserve Champion Gelding at the 2012 KFPS Central States Breed Instpection. He is a friendly, good natured youngster, with good ground manners and is working well under saddle. Click for more photos and Espada's pedigree. 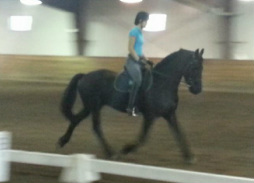 10 year old mare, is pleasant under saddle, she is a proven broodmare out of Feike 395 x Goffert 369. Zefra has a kind, personable and willing disposition. 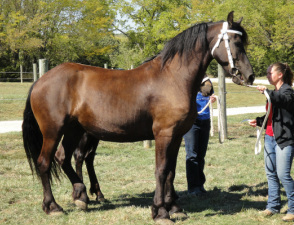 She is a KFPS/FHANA studbook mare. Zefra comes from some of the best dressage bloodlines the Friesian breed has to offer, both her sire and dame's sire were successful dressage competitors (search Goffert 369 and Feike 395). 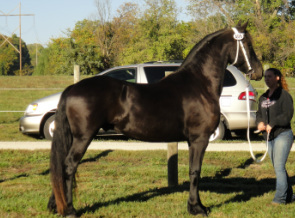 Her dame is also from the bloodline of Jakob 302 Sport who is well known for producing quality dressage type Friesians. Click for more photos and Zefra's pedigree. Arikara is a 10 year old KFPS/FHANA studbook gelding. 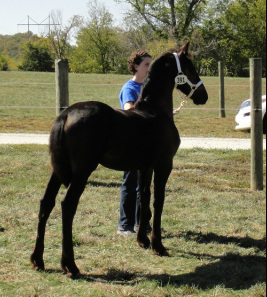 He was awarded a 1e premium and champion foal of the 2008 KFPS Central States Breed Inspection. Rick is a spirited and loveable horse with impressive movement. He is out of Nanning 374 X Goffert 369 with plenty of height and forward movement. He is broke to ride and drive. Click for more photos and Arikara's pedigree. Beautiful, refined and energetic filly, she is just over 5 months old and already showing off her personality and movement. 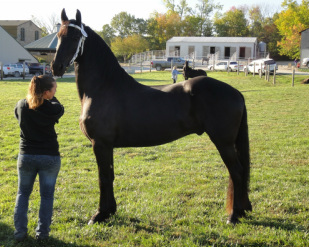 Minne Sapa was awarded a 2e premium and was the Reserve Champion Filly of the 2012 Central States Breed Inspection. Click for more photos and Minne Sapa's pedigree. Interested buyers, feel free to contact us with questions or to arrange a visit.